Sign Up for free to save time shopping dosist's wholesale products on LeafLink. Recently awarded GQ's best stuff of 2017, the pre-filled dose pen by dosist™️ offers either 200 or 50 doses and is a recyclable vaporizing device designed exclusively for dosist’s formulas featuring: precise dosage delivery (2.25mg per dose), airflow control and superior heating technology. dosist's formulas are 88% cannabinoids and 12% terpenes—containing no additives or fillers. Fully Compliant Packaging Available - ORDER NOW! bliss by dosist™ is formulated with a 9:1 THC-to-CBD ratio that helps you feel just the right amount of good. relief by dosist™ is a CBD-rich formula with a 2:1 THC-to-CBD ratio designed to provide relief for mild to moderate pain. calm by dosist™ is a high-CBD formula in a 10:1 CBD-to-THC ratio with a calming terpene blend that promotes inner peacefulness. sleep by dosist™ is a THC-focused formula in an 8:1 THC-to-CBD ratio supported by key terpenes, designed to help you sleep soundly. arouse by dosist™ is a THC-forward formula designed to help you feel aroused and enhance your excitement naturally. passion by dosist™ is a THC-driven formula designed to increase your sensuality and heighten your sexual experience. 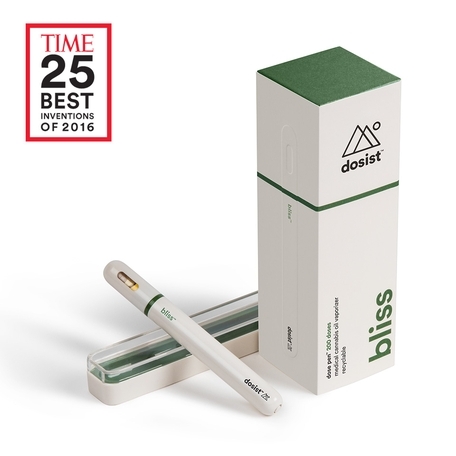 Recently awarded GQ's best stuff of 2017 and Fast Company's the World Most Innovative Companies of 2018 in Health category, the pre-filled dose pen by dosist™️ offered in 200 doses, as well as, 50 doses and is a recyclable vaporizing device designed exclusively for dosist’s formulas featuring: precise dosage delivery (2.25mg per dose), airflow control and superior heating technology. dosist's formulas are 88% cannabinoids and 12% terpenes—containing no additives or fillers. 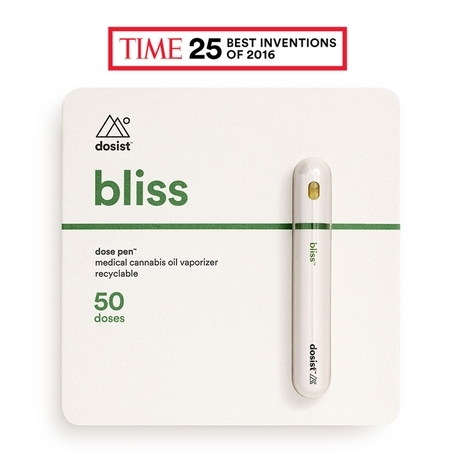 Recently awarded GQ's best stuff of 2017 and Fast Company's the World Most Innovative Companies of 2018 in Health category, the pre-filled dose pen by dosist™️ offered in 50 doses, as well as, 200 doses and is a recyclable vaporizing device designed exclusively for dosist’s formulas featuring: precise dosage delivery (2.25mg per dose), airflow control and superior heating technology. dosist's formulas are 88% cannabinoids and 12% terpenes—containing no additives or fillers. Recently awarded GQ's best stuff of 2017, the pre-filled dose pen by dosist™️ offers over 200 doses and is a recyclable vaporizing device designed exclusively for dosist’s formulas featuring: precise dosage delivery (2.25mg per dose), airflow control and superior heating technology. 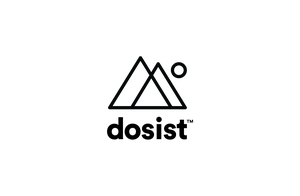 dosist's formulas are 88% cannabinoids and 12% terpenes—containing no additives or fillers. Now available together with our core-4 OR all 6 formulas together! Now available together with all 6 formulas together!